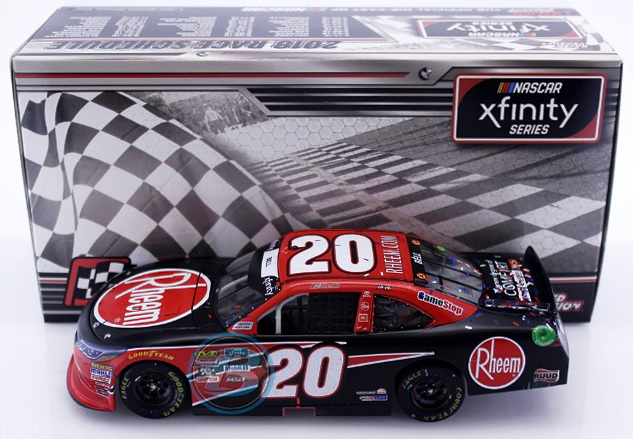 2019 Christopher Bell #20 Rheem / Atlanta Win / Raced Version / Toyota Supra NASCAR 1/24 diecast, by Action Lionel. 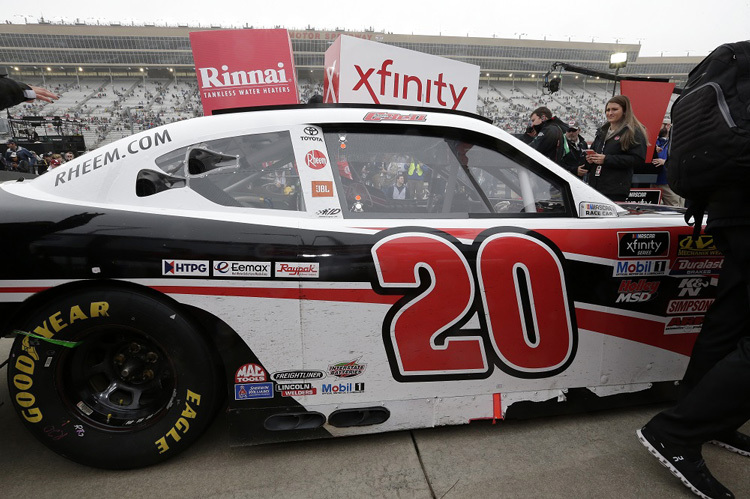 Christopher Bell raced this Joe Gibbs Racing #20 Rheem Toyota Supra to victory in the NASCAR xfinity Series, Rinnai 250 at Atlanta Motor Speedway on February 23, 2019. 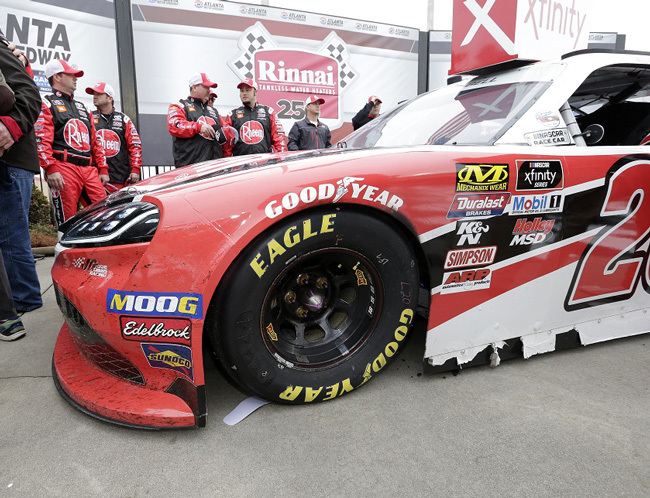 This was the 1st NASCAR Win for the New Toyota Supra. 2019 Christopher Bell #20 Rheem / Toyota Supra NASCAR 1/24 diecast, by Action Lionel. 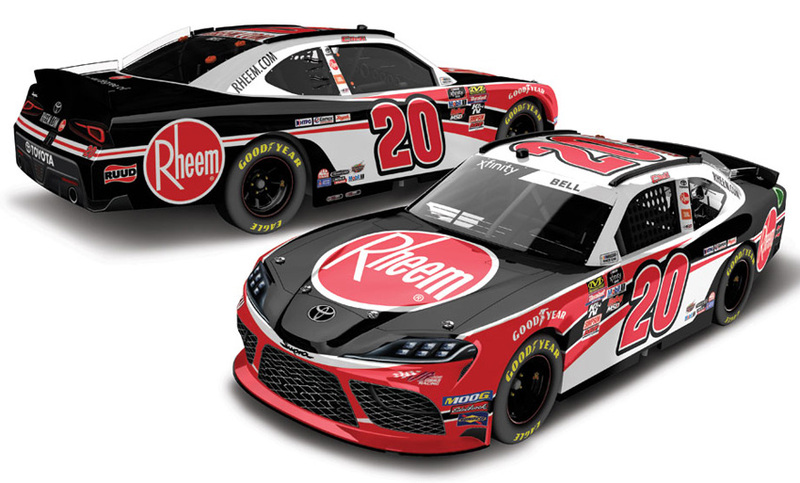 The Joe Gibbs Racing #20 Rheem Toyota Supra will be raced by Christopher Bell in multiple events during the 2019 NASCAR xfinity Series season. 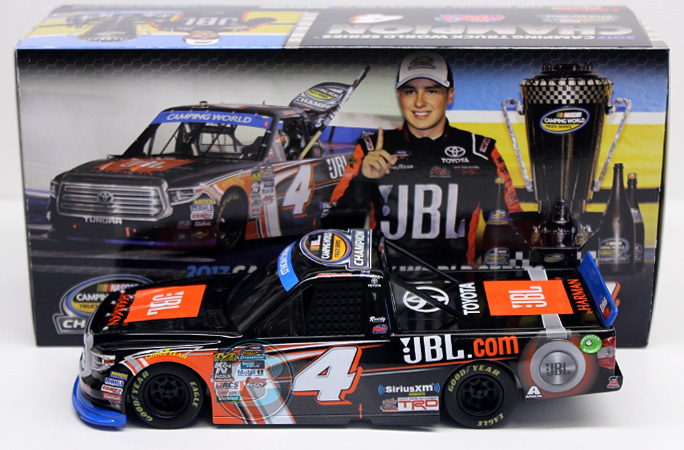 Autographed version available $69.99 - Autographed by Christopher Bell. 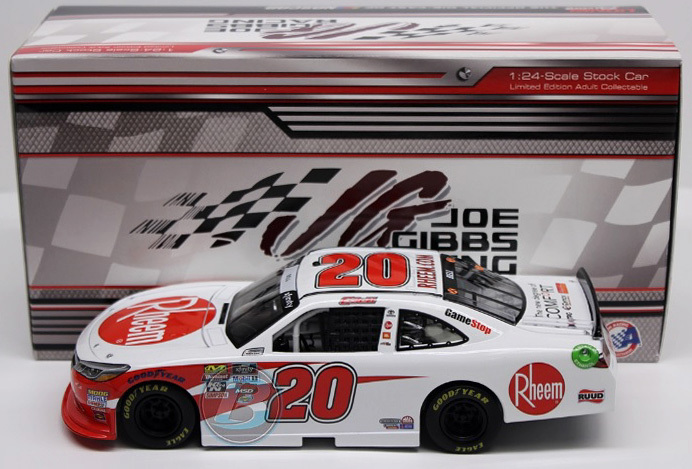 2019 Christopher Bell #20 Rheem / Toyota Supra NASCAR 1/64 diecast, by Action Lionel. 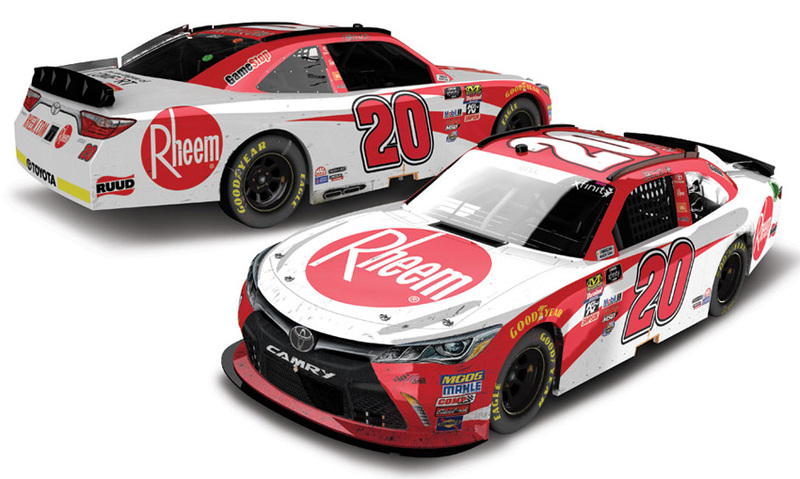 The Joe Gibbs Racing #20 Rheem Toyota Supra will be raced by Christopher Bell in multiple events during the 2019 NASCAR xfinity Series season. 2019 Christopher Bell #20 RUUD / Toyota Supra NASCAR 1/24 diecast, by Action Lionel. 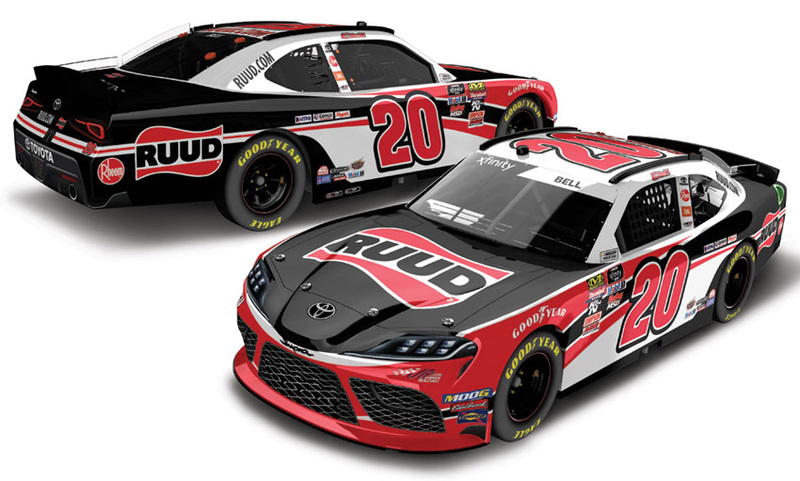 The Joe Gibbs Racing #20 RUUD Toyota Supra will be raced by Christopher Bell in multiple events during the 2019 NASCAR xfinity Series season. 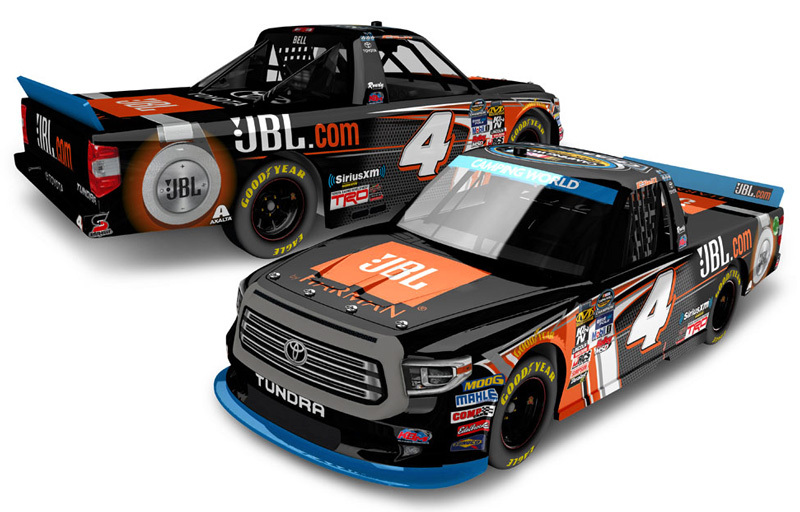 2019 Christopher Bell #20 RUUD / Toyota Supra NASCAR 1/64 diecast, by Action Lionel. 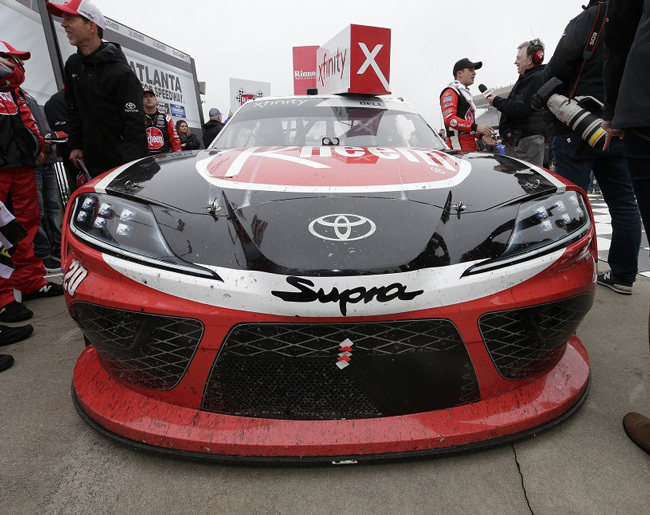 The Joe Gibbs Racing #20 RUUD Toyota Supra will be raced by Christopher Bell in multiple events during the 2019 NASCAR xfinity Series season. 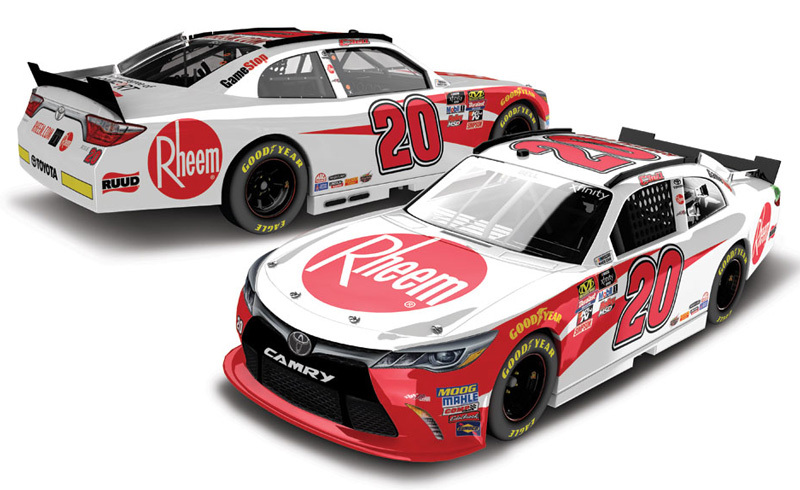 2018 Christopher Bell #20 Rheem / Toyota Camry NASCAR diecast, by Action. 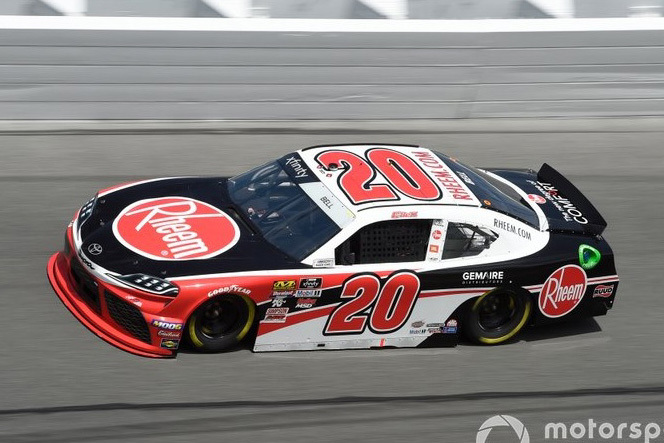 The Joe Gibbs Racing #20 Rheem Toyota Camry was raced by Christopher Bell during the 2018 NASCAR xfinity Series season. 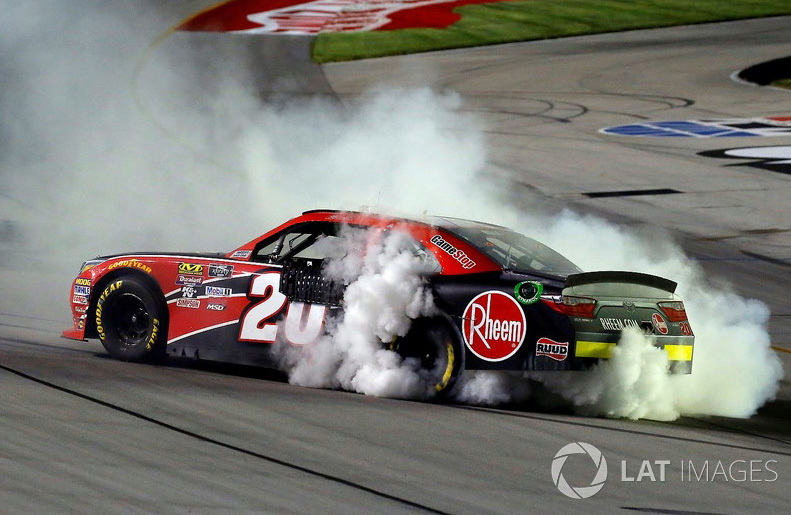 2018 Christopher Bell #20 Rheem / Richmond Win / Raced Version / Toyota Camry NASCAR diecast, by Action Lionel. 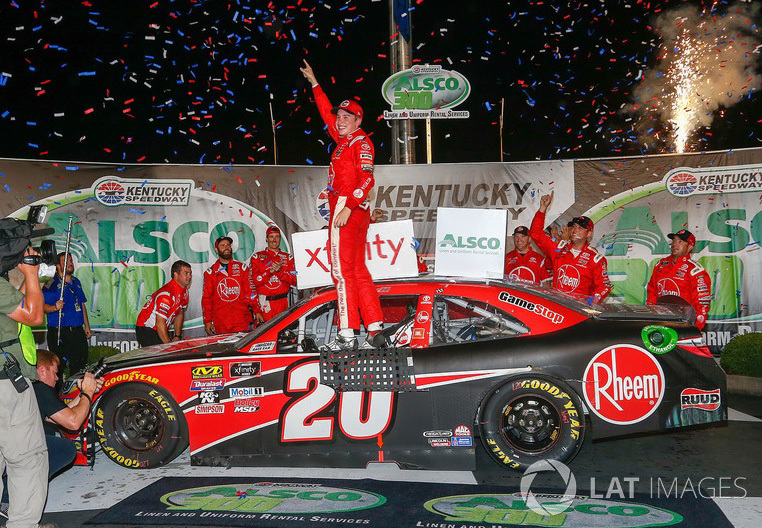 Christopher Bell raced this Joe Gibbs Racing #20 Rheem Toyota to victory in the NASCAR xfinity Series, ToyotaCare 250 at Richmond Raceway on April 20, 2018. 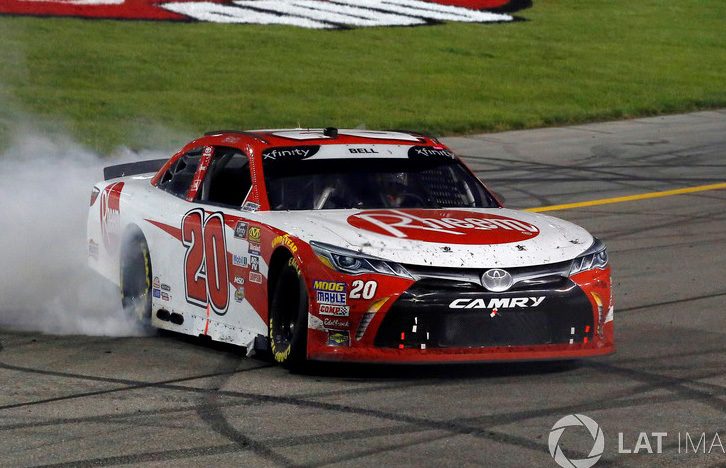 This diecast car comes with an official NASCAR xfinity race winner decal. Autographed version available $89.99 (1 of 144) - Autographed by Christopher Bell, on the windshield in Silver. Includes an Action Racing Collectables certificate of authenticity. 2017 Christopher Bell #18 JBL.com / Kansas Win / Raced Version / Toyota Camry NASCAR diecast, by Action. 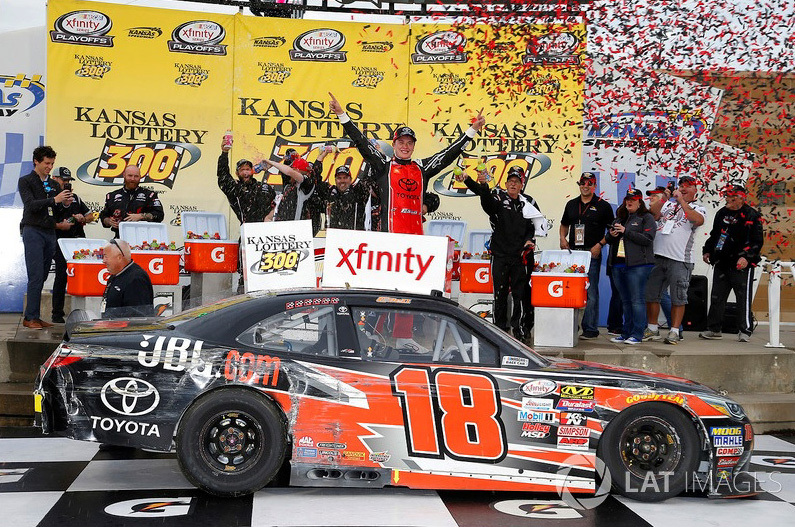 Christopher Bell raced this Joe Gibbs Racing #18 JBL.com Toyota Camry to victory in the NASCAR xfinity Series, Kansas Lottery 300 at Kansas Speedway on October 21, 2017. 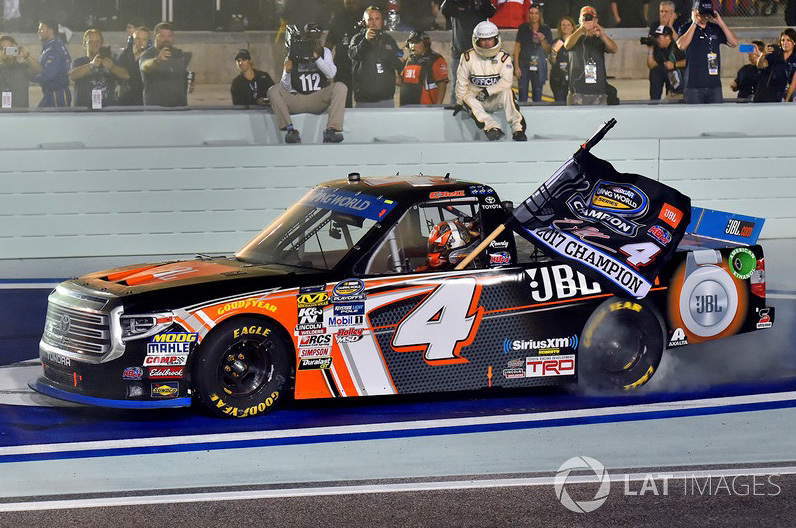 This was Christopher Bell's 1st career NASCAR xfinity Series Win. This diecast car comes with an official, actual size race winner decal.